In recent decades, MIMO (Multi-Input-Multi-Output) systems become more and more widely used in industrial applications. A variety of decoupling control algorithms have been studied in the literature. 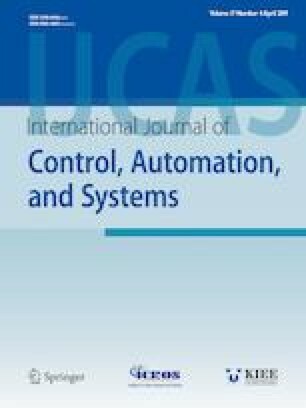 Therefore, a review of the most extensively applied coupling interaction analysis and decoupler design methods for industrial processes is necessary to be carried out. In this paper, in order to benefit researchers and engineers with different academic backgrounds, the scattered coupling interaction analysis and decoupling algorithms are collected and divided into different categories with their characteristics, application domains and informative comments for selection. Moveover, some frequently concerned problems of decoupling control are also discussed. Recommended by Associate Editor Jong Min Lee under the direction of Editor Jay H. Lee. This work was supported by the National Natural Science Foundation of China under grant No. 61673094, and the Fundamental Research Funds for the Central Universities of China under grants No. G2018KY0305 and No. G2018KY0302. Lu Liu received her Ph.D. degree in automation from Northeastern University, China, in 2017. From 2015 to 2017, she was a visiting Ph.D. student in Univercity of California, Merced, USA. Her current research interests include control system analysis, controller design, process control and so on. Siyuan Tian received his Ph.D. degree in chemical engineering from University of Houston, USA in 2015. He joined Lam Research Corporation since 2015, works in etch product development group. Dingyu Xue received his Ph.D. degree from Sussex University, United Kingdom, in 1992. His current research interests include fractional order control system, auxiliary control system design and so on. Tao Zhang received his Ph.D. degree in the Department of Electrical Engineering, the National University of Singapore in 2000. His research interests include nonlinear control, adaptive control, neural networks, and control applications. YangQuan Chen received his Ph.D. degree in advanced control and instrumentation from Nanyang Technological University, Singapore, in 1998. His current research interests include unmanned aerial systems, applied fractional calculus, mechatronics, cyber-physical systems and so on. Shuo Zhang received his Ph.D. degree from Beijing Jiaotong University, China, in 2017. From 2015 to 2016, he was a research scholar in Univercity of California, Merced, USA. His current research interests include neural networks, chaos synchronization, complex networks, nonlinear dynamics and control.